The Intel X520 and X540-T2 Dual Port 10 GbE adapters for IBM System x are powered by reliable and proven 10 Gb Ethernet technology from Intel. These cards offer full line-rate 10 Gbps performance for high-IO intensive applications, and showcase the next generation in 10 GbE networking features for the enterprise network and data center. 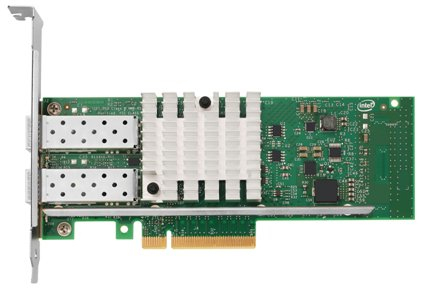 The Intel X520 card provides SFP+ based connectivity options, and the Intel X540-T2 adapter offers 10GBASE-T connectivity with RJ-45 ports, with compatibility with the existing 1000BASE-T network, and simplifying the transition to the 10 Gb Ethernet technology.